Krudo Knives Lots of NewStuff! We’ve been selling Krudo Knives at the KnifeCenter for some years now, but we have recently expanded the selection greatly. Designed by martial arts expert Louis Krudo, these self defense tools are designed to help the user fend off and disable an attacker. Louis is a real knife-guy and a great character that we greatly admire. The design of his self defense knives is unlike anything else you have seen. 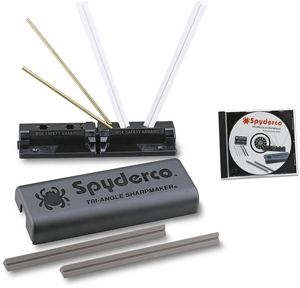 While several of these SNAG tools are unsharpened, they’re not limited to use as “trainers”-most of the Krudo “pain management techniques” utilize the unsharpened, textured hook to grab or apply pressure to an assailant. Check out the SNAG tools, trainers, and SNAGettes today at www.knifecenter.com! New from Boker Plus, meet the ultra-cool Nano: it’s bright, versatile, and it wants to be your new best friend! 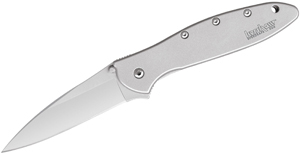 Its small size is perfect for EDC duties at 4-3/4″ overall, and its stout 1-7/8″ 440C stainless steel blade can slice through pretty much anything you throw at it-plus it takes a very sharp edge. Bright lime-green Zytel scales make it hard to forget if you set it down, and it fits comfortably in all but the largest hands. The Nano sports an easy-to-use frame lock, and jimping on the spine just adds to its grip and versatility. It may be small, but it’ll be a loyal companion for years. Check them out today at www.knifecenter.com! 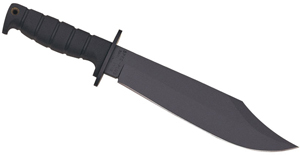 New for 2012, our friends over at United Cutlery have released the Colombian Panga Machete. The Panga Machete brings its 15″ AUS-6 full-tang stainless steel blade to whatever chore you can throw in front of it. You can chop, slash, and hack away at the undergrowth-the soft-feel injection-molded handle is designed not to slip, no matter how sweaty your hands get. The Panga Machete ships with a durable nylon sheath, and has an attached lanyard. Check ’em out today at www.knifecenter.com! Mantis Civilianaire Damascus Coin Knife-KnifeCenter Exclusive! Batten down the hatches-the perfect storm of Mantis Knives design, brilliant Damascus steel, and KnifeCenter bling have come together to form the awesome Mantis Civilianaire with exclusive KnifeCenter logo-personally machined by Mantis owner Jared West. These coin-sized knives sport 0.75″ stainless Damascus steel hawkbill blades; great for opening boxes, letters, or just showing off to your friends! Limited to just 250 pieces, these made-in-the-USA beauties are truly gems. Pick yours up today exclusively at www.knifecenter.com!